Here we are! Back with another preview of India vs Bangladesh ODI series. With two matches already over and clinched by India, the third match remains a formality. But it also gives this young Indian team a chance to clean sweep the series 3-0. Will they do it or will the home team Bangladesh bounce back for their pride and win this one? We can watch it all live on ESPN Star Sports through live cricket streaming online and on TV in India. We aren't going to get any information about the weather forecast this time as we all expect a full match. So let us not talk about the rain Gods for a moment and concentrate solely on the final ODI. It is good to see good number of fans in the stadium cheering both the teams for a series that has been considered lack lustred due to two reasons - Absence of star players in the Indian team and the ongoing FIFA football world cup. In the midst of all the negativities, the young guns from both the teams have shown some inspiring performances. We already discussed about the first ODI in our last post. Now let us revisit the second ODI which brought some rain as well as exciting moments. India batted first and in an on and off game due to rain, Bangladeshi pacers were highly impressive. With a lot of movement in the air with the support of the pitch, the bowlers dominated and batting line up crumbled. The highest scorer for India was Raina with just 27 runs. To everyone's surprise Umesh Yadav was the second highest scorer with 17 runs. That shows how bad the batsmen performed. Indian team was bundled out for 105 runs in 25.3 overs with a fear of losing the match badly. Bangladesh also had a shaky start and they never recovered from that. 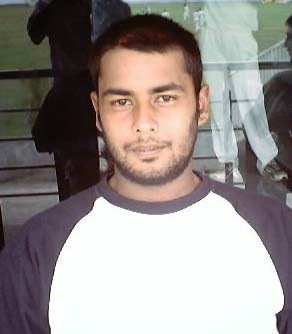 Mithun Ali was the highest scorer with 26 runs. Bangladesh could only manage 58 runs before getting all out! That brought the best win for India with such a low score to defend. We are sure your eyes must be glued on Binny's stats. Let us read it correctly for you. He clinched six wickets for just four runs! He was glad to see himself in the best ever bowling figure for India breaking Kumble's record of 1993! Let us hope we see more such incredible performances in the final ODI.